Alice imagined a library must be a quiet garden of books, where stories grew like flowers. I was mostly raised by a single mother who ensured from the time I was born that I was surrounded by books and stories. Specifically (whenever she could afford to) Mum bought me fairytales. She gave me the gift of teaching me to read by the time I was three; my earliest memories are of us being together, sitting, reading, and dreaming. Looking back now, I don’t think I was the only one between us who found hope and possibility in stories of other worlds and their magical charms. From that early age one thing I have always known is that all I wanted to be was a writer of stories. It became my call to arms, a driving force to keep showing up at my desk, to keep striving to have the courage to tell Alice Hart’s story. As Alice’s character became more and more known to me through the writing process, I knew very strongly that, no matter what happened to her, fairy tales, folklore and books would be strong foundations in Alice’s life. As they were in mine. When she was a small child, Alice Hart’s life was altered by a librarian, a library, and the stories Alice found there. After her life changes irrevocably when she’s nine-years-old, Alice takes her bag of books — her only possessions — and goes to live with the grandmother she never knew existed, at Thornfield, a native Australian flower farm. Thornfield gives refuge to women who, like Alice, are lost or broken. In the Victorian tradition, every Australian native flower has a meaning and, as she settles into her new life, Alice uses this language of flowers to say the things that are too hard to speak. As she grows older, though, family secrecy, a devastating betrayal and a man who’s not all he seems, combine to make Alice realise there are some stories that flowers alone cannot tell. If she is to have the freedom she craves, she must find the courage to possess the most powerful story she knows: her own. Infusing Alice’s world with folklore to reflect the events that happen in her life was one of the greatest joys of writing Lost Flowers. The first book she borrows on her first library card is one about selkies, seals who shed their skins under the full moon and emerge as women, one of whom most often has her skin stolen by a man and is confined to land. On Alice’s first night at Thornfield, her grandmother’s native flower farm, one of the women who lives and works there leaves a freshly baked cupcake on Alice’s pillow with a Filipino fairy tale: Separated from her lover who went to battle, a queen once dressed in her finest gown, embossed in blue orchids, and tied herself to a tree to wait for him. She waited so long for his return that she forsook her life and became one of the very orchids on her gown. Later, when Alice is an adult and experiences sharp betrayal, she learns a Bulgarian fairy tale about a good, naive wolf and a cheeky, cunning fox, which heeds a warning about trust and denial. Gathering the fairy tales I used in the novel was a story in and of itself; I pored over tales I hadn’t read in years, remembering afresh how I loved them as a child and why. I sat enraptured with friends from cultures not my own while they so generously shared stories from their homelands with me. Like the Indian stories of Sita, the princess who surrendered herself to the earth after being accused of sorcery, and Draupadi, the princess who cursed one hundred men for mistreating her. Or, the Mexican tales of monarch butterflies being fire warriors and daughters of the sun. Or, the medicinal usages of native Australian flowers and plants to Anangu, the traditional owners of Pitjantjatjara lands in Australia’s western desert. What are the stories we tell ourselves in order to survive? Fairy tales taught me that stories have the power to save us. They had the power to save me. Stories gave me permission to dream and hope for more. Writing a modern Australian fairy tale as my first novel was my humble attempt at offering something to the magic of the folktales I absorbed as a child. The Lost Flowers of Alice Hart is for every reader who has ever felt like their story has been stolen, and their voice has been silenced. For women who doubt the worth and power of their story. It’s for readers who gasp a little when they cross the threshold of a library or bookstore. For readers like me who believe that stories can be the kind of magic that has the power to change our lives. The lovely folks at Pan Macmillan (Mantle) have offered a copy of Holly Ringland’s fabulous novel for a lucky #FolkloreThursday newsletter subscriber this month, with a copy also going to one of our Patrons*! “Flowers, fire and fairy tales are the elements that will forever shape nine-year-old Alice Hart’s life, in The Lost Flower’s of Alice Hart, the international bestseller by Holly Ringland. Alice Hart lives in isolation by the sea, where her mother’s enchanting flowers and their hidden messages shelter her from the dark moods of her father. When tragedy changes her life irrevocably, nine-year-old Alice goes to live with the grandmother she never knew existed, on a native flower farm that gives refuge to women who, like Alice, are lost or broken. In the Victorian tradition, every flower has a meaning and, as she settles into her new life, Alice uses this language of flowers to say the things that are too hard to speak. Sign up for the #FolkloreThursday newsletter to enter (valid December 2018; UK & ROI only). 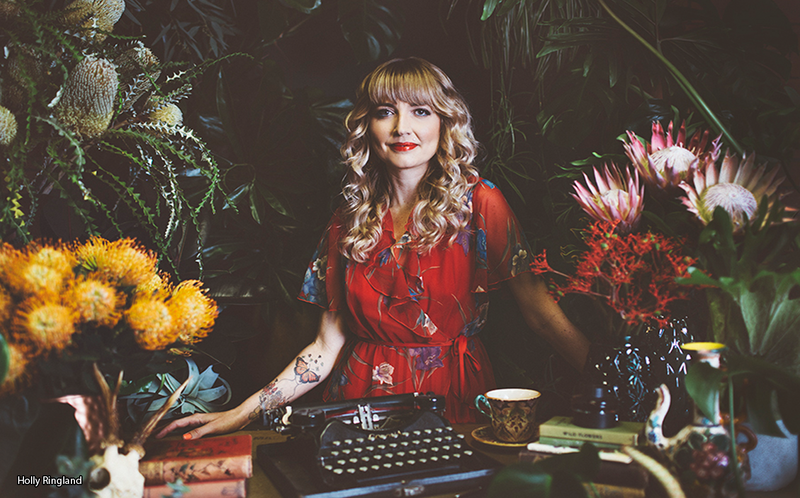 Holly Ringland grew up wild and barefoot in her mother's tropical garden in Australia. When she was nine years old, her family lived in a camper van for two years in North America, travelling from one national park to another, an experience that sparked Holly's lifelong interest in cultures and stories. In her twenties, Holly worked for four years in a remote Indigenous community in the central Australian desert. In 2009 she moved to England where she obtained a MA in Creative Writing from the University of Manchester in 2011. Holly has taught creative writing at Lancaster University, and to women in prison. For five years Holly volunteered as leader of a Greater Manchester storytelling project called International 16, bringing together 16 students from 16 countries (including the UK) to promote global friendship through stories. 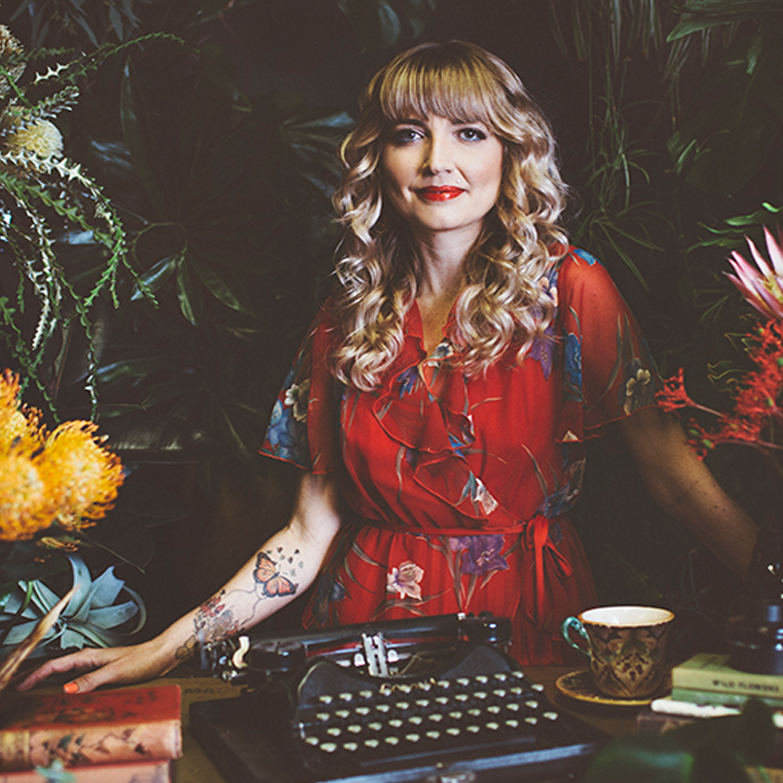 The Lost Flowers of Alice Hart is Holly's first novel. She lives in Manchester. Visit Holly’s website or follow her on Twitter.